I know it feels Halloween is so far away now but every time I head out for Halloween Costumes they are always picked over. 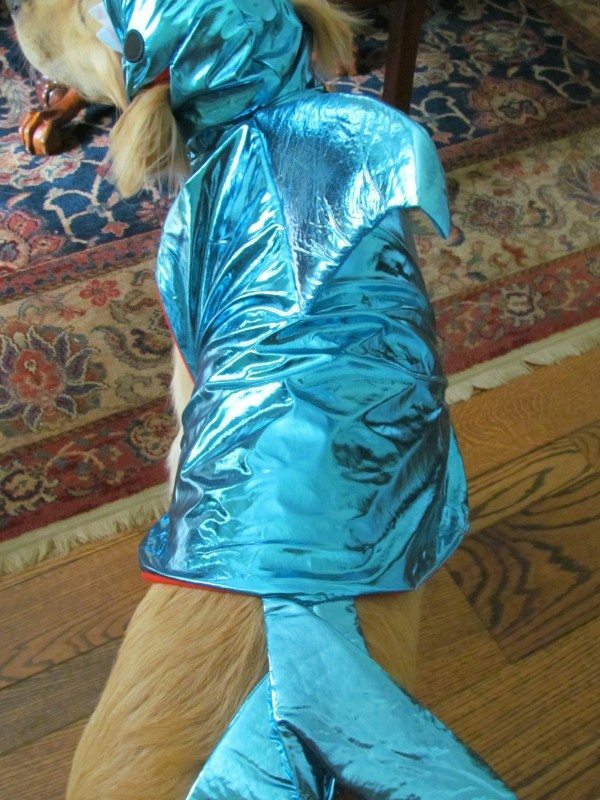 I am not talking just about the kids, but you might want to buy Halloween Costumes for your pets as well. 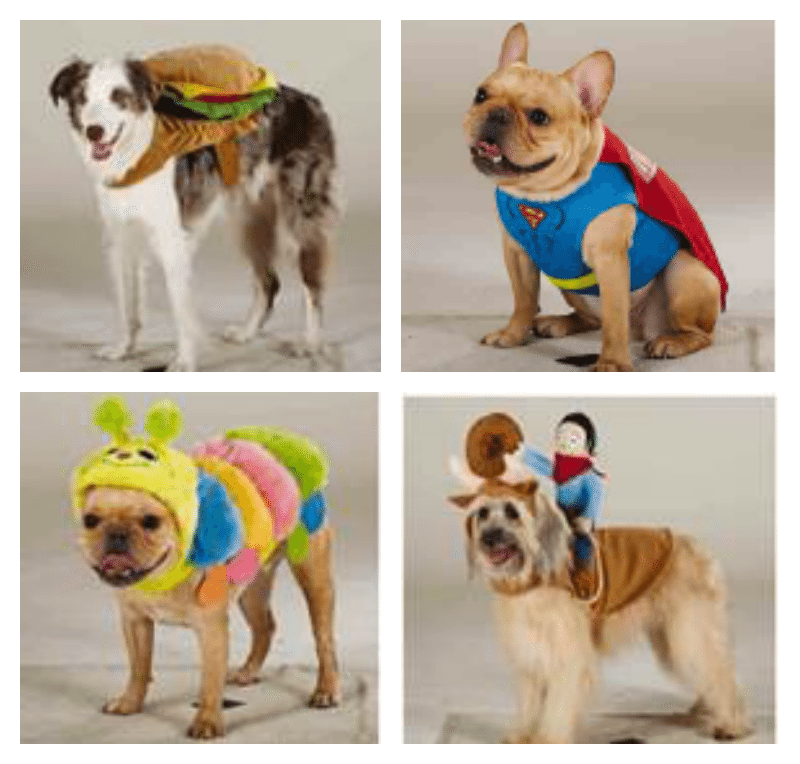 PetSmart has a wide selection of Halloween Costumes for Dogs this year, some old favorites and a several new looks to show off your pup while you are trick or treating. PetSmart has styles from Disney, Martha Stewart Pets, Bret Michaels Pets Rock and more! Chloe is such a trooper and although dressing up your pet day is not her favorite I thought we could add a funny animal caption on some of these pet photos and send them out as Halloween Cards. 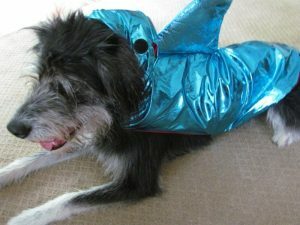 This year we thought we would try out the Top Paw Shark Costume available at PetSmart. This one fits over her torso with velcro and then again around her neck. Then there is a hoodie with ear holes. She did not move once in this costume, she is saying really mom let’s get this over with. I do love the tail fins. I had to try it on a smaller dog, Wilson, and he moved around freely in it. Maybe too much I had trouble getting a photograph. Here is Chloe showing off her new Halloween Sweater. 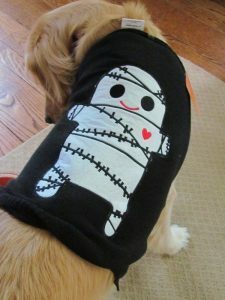 This is super cute and would be adorable on a dog with less fur, only because she usually does not need the extra layer. 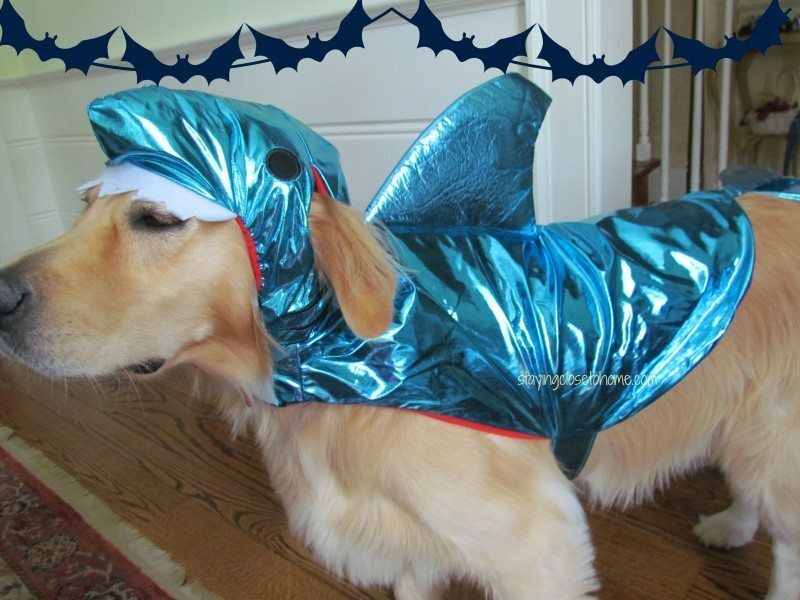 Which Dog Halloween Costume do you think you will buy this year? I ALWAYS wanted to dress up my dog in a costume! Thanks for sharing the info! I do think the little dogs look the best dressed up. These are so cute! 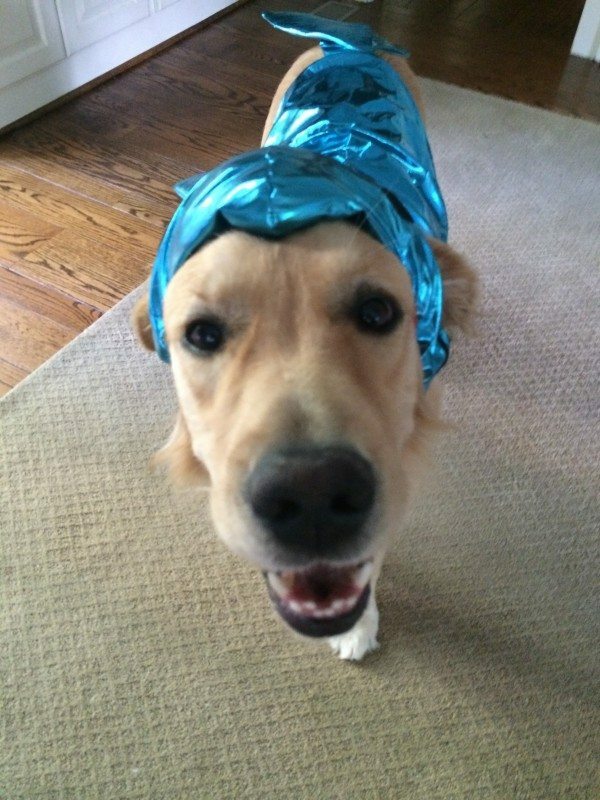 Dressing up the dog is so fun! LOL these are hilarious! Love the shark and the caterpillar! Oh my how cute is this! My little dog would love one of these costumes! Adorable! I wish that we had a dog to dress up for halloween. I adore that Halloween sweater! It’s too cute! We don’t have any pets but when I had pets growing up, I loved to dress them up for Halloween and other holidays! Ha! Those pics made me laugh out loud! I think it’s adorable when people dress up their pets!